Aquacraft Alligator Tours Nitro Powered RTR Airboat « Big Squid RC – RC Car and Truck News, Reviews, Videos, and More! Ok, check this out! 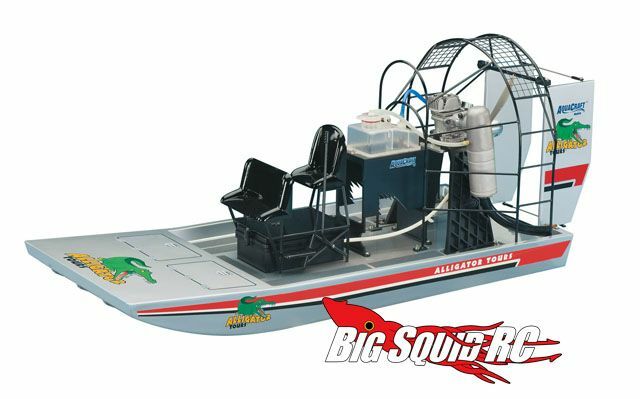 New from Aquacraft comes this cool looking Alligator Tours Nitro RTR Airboat! How cool would this thing look running in your lake or pond? Sure.. anyone can just run one of those ‘normal’ looking boats around.. but this thing would be awesome! It would be cool to put a little person in there driving, but I imagine you would not want to make this thing any more top heavy then it might be with that motor up there. It always brings a smile to my face to see companies put out stuff that’s different! Nice job. Check the NEW Product Forum for the full press release!